Our externship program at S'eclairer is directed by our medical physicians who provide Clinical Psychiatry. This program has been established for the physicians graduated from medical schools outside the United States who seek to gain practical experience in psychiatry. Some of the medical physicians who are directingthis program were foreign medical graduates and are familiar with the challenges and frustrations of the process in obtaining a physician's qualifications in the United States. We offer guidance on essential details such as moving to and getting settled in the United States. Also, we offer guidance concerning the practical details involved in the American Medical System and its various specialties. Our graduates from medical schools have come from Pakistan, India, Asia, Europe as well as the United States. Their experience and feedback have been invaluable to us in developing our comprehensive program that focuses on the extern's specific learning objectives. We continue to expand our clinical opportunities as well as the complementary services integrated in our comprehensive program. Please refer to the appropriate sections on our site or get in touch with us directly for more detailed information. Externship is among the most effective means of distinguishing yourself in preparation for a residency program, Also, it helps you to become familiar with the new and unfamiliar environment within the culture as well as medicine in the United States. There is no residency program designed exclusively for foreign medical graduates. So, in every instance, foreign candidates compete not only among themselves but also with all the American candidates. Our externship program goes beyond observation. Externs will work with an attending physician and perform clinical duties such as assessing patients' histories. All extern duties are performed at S'eclairer, a Holistic, Integrative Psychiatric Medicine Outpatient Center under the supervision of a U.S. licensed attending physician. Externships are a minimum of 6 weeks. At the end of the externship period, students will receive a professional letter of recommendation for their residency. Contact Dr. Zahida Chaudhary at zahidaparu@yahoo.com for more information! Dr. Hajra Akram has joined the staff at S'eclairer. She is an MD from Pakistan who has just finished the USMLE* steps required for residency programs in America. She is doing an 8-week Externship in psychiatry at S'eclairer. It is basically "hands-on" experience. She has previously done an 8-week Observership in Psychiatry in Dearborn, Michigan, participating in on-going research program on "ADHD" there. Dr. Akram has worked as a Family Physician in Pakistan for almost 10 years, and always wanted to do her specialization in Child/ Adolescent Psychiatry. 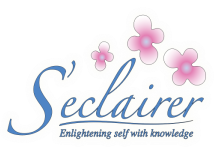 Through an acquaintance, she came to know about S'eclairer, applied for Externship and got accepted. She said of her time here so far, "I found this place very patient friendly. They are focusing on different aspect of patient recovery such as changing Lifestyle of patients. What I really like about this clinic is their emphasis on education of patients. Which I in my medical practice always wanted to do. Secondly they are very open to new ideas. I definitely want to come back and gain more experience in this integrative medicine after my residency."